Dr. Steven Ortiz is a biblical archaeologist with over 30 years of field experience and has traveled extensively throughout the Middle East. He is currently the co-director and principal investigator at Tel Gezer. His expertise is the use of archaeology to reconstruct the history of ancient Israel and the Second Temple Period (New Testament). His research focus is the archaeology of the southern Levant. He is active in professional academic organizations and is a prolific lecturer and author. Dr. Ortiz has contributed to several books and monographs: History of Ancient Israel, Do Historical Matters Matter to Faith?, Critical Issues in Early Israelite History, Buried Hopes or Risen Savior, Archaeological and Historical Studies in honor of Amihai Mazar, and The Future of Biblical Archaeology. He is currently working on the publications of Tel Gezer as well as a book entitled Intersections of Archaeology and Biblical Interpretation. Dr. Samuel Wolff earned his Ph.D. at the University of Chicago in 1986, and has been with the Israel Antiquities Authority since 1991. In addition to his current project at Tel Gezer, Dr. Wolff has also directed excavations at Tel Megadim, En Haggit and Tel Hamid. He is the author of numerous scientific articles and reports related to the archaeology of Israel. Bruce Bachand is a Research Affiliate with the New World Archaeological Foundation of Brigham Young University and Director of the Chiapa de Corzo Archaeological Project since 2008. A recent Fulbright fellow, Bruce has received grants from the National Science Foundation and the National Geographic Society for his research on early Mesoamerican societies. He holds degrees in Anthropology from the University of Massachusetts Dartmouth (B.A. 1993), Brigham Young University (M.A. 1997), and the University of Arizona (Ph.D. 2006). Prior to his Chiapas investigations, Bruce supervised fieldwork in the Petén rainforest of Guatemala at the Maya sites of Nakbe, Aguateca, and Punta de Chimino. He describes himself as “an anthropologist who happens to dig in the dirt” and a student of cultural history. His scholarly interests range widely from anthropological theory to pottery analysis and Bayesian radiocarbon dating–subjects that articulate well in archaeological storytelling. He has authored a variety of essays and articles, but his most prized effort remains a dissertation chapter summarizing ten years of research on Preclassic Lowland Maya civilization. He is currently working on an essay that clarifies the material practices of Zoque culture through time. Bruce’s fascination with the symbolic dimensions of human life, both modern and ancient, has led him to spend prolonged periods of time in Japan, Europe, the American West, Mexico, and Central America. He vividly recalls starting his archaeological endeavors by promptly impaling his finger with a trowel while digging a Jōmon pit house alongside three well-trained and obliging elderly Japanese women. His most wretched archaeological memory is the excavation of a prehistoric lithic scatter underneath a partly decomposed, stinking sheep carcass ridden with rat feces outside a southern Utah rock shelter. As an anthropologist he has been influenced greatest by the writings of Marshall Sahlins, Michael Jackson, and Antonio Gramsci. In archaeology, he finds a certain affinity with the writings of Richard Bradley, Ian Hodder, and Julian Thomas. In Mesoamerican archaeology, Gordon Willey, Gareth Lowe, Michael and William Coe, and Kent Flannery have left indelible impressions. Raised in southeastern Massachusetts, he is married with two children and resides in the Salt Lake City area. Marion Bamford was born and educated in Zimbabwe before enrolling at the University of the Witwatersrand, Johannesburg, for a BSc degree majoring in Botany and Microbiology. She completed her BSc Honours degree in Plant Systematics and then went on to do her Masters and Doctoral research in Palaeobotany, all at the University of the Witwatersrand. After working at the Geological Survey in Pretoria, she returned to do post doctoral research at Wits on fossil woods for a diamond mining company. She lectures in Palaeobotany to Biology and Geology undergraduate students and supervises post graduate student research. Her main research interest is in fossil woods of all ages, but she is involved in a variety of plant aspects for numerous research projects in Africa. For example, she studies the fossil woods, leaves and seeds from Laetoli in Tanzania, Koobi Fora and Lukeino in Kenya, wood from Sterkfontein in South Africa, woods from southern Africa as well as charcoal and phytoliths. Marion is one of very few palaeobotanists in Africa and is at the Bernard Price Institute, the only African Palaeontology research institute. She has published over 70 articles in peer-reviewed journals, presented papers at numerous international conferences and is the editor of the scientific journal Palaeontologia africana. She is a Fellow of the Royal Society of South Africa and is the chief coordinator of the Scientific Advisory Committee for PAST (Palaeontological Scientific Trust, a non-governmental funding body for the palaeosciences in Africa). John Vincent Bellezza is an archaeologist and cultural historian specializing in the pre-Buddhist heritage of Tibet and the Western Himalaya. He is a Senior Research Fellow at the Tibet Center, University of Virginia, and has lived in high Asia for three decades. Since 1994, Bellezza has comprehensively surveyed ancient monuments and rock art on the uppermost reaches of the Tibetan plateau. He has also extensively studied archaic rituals, myths and narratives in Bon and Old Tibetan literature. In addition to nine books, Bellezza has written numerous academic and popular articles on topics pertaining to early Tibet. He is the first non-Tibetan to have explored both the geographic and ritual sources of each of the four great rivers that emerge from the Mount Kailas region. He has visited most major islands and headlands in the great lakes of Upper Tibet. Carolyn E. Boyd is the Executive Director and co-founder of SHUMLA, an archeological research and educational nonprofit corporation. She serves as Adjunct Professor at Texas State University and as a Research Fellow at the Center for Arts and Symbolism of the Ancient Americas in San Marcos, Texas and the Texas Archeological Research Laboratory in Austin. Boyd received her doctorate in archeology from Texas A&M University based on her analysis of the 4,000 year-old rock art of the Lower Pecos Canyonlands of southwest Texas and northern Mexico. Her expanded dissertation, Rock Art of the Lower Pecos, was published in 2003 by Texas A&M University Press and is considered an important contribution on rock art analysis and interpretation. She has been published in Antiquity, Latin American Antiquity, Revista Iberoamericana de Lingüística, and has contributed chapters in several edited volumes. Boyd teaches Field Methods in Rock Art, a three-week field school offered each May through Texas State University, gives numerous lectures around the country and abroad, serves on graduate committees, and is the Principal Investigator for the Lower Pecos Border Canyonlands Archeological Project. Heval Bozbay, a graduate of İstanbul University, currently works in the Archaeology Department of Dokuz Eylül University in İzmir. He has been a member of the Aşıklı Höyük research team since 2009. Rebecca read BA Ancient History and Classical Archaeology at the University of Warwick, writing her first-class thesis on the relationship between the Greek city- states and Achaemenid Persia in the sixth century B.C. She then went on to complete her MPhil in Egyptology at the University of Cambridge, specialising in the commission, design and production of religious art in Egyptian Nubia (modern Sudan). From 2010-13 Rebecca lived and worked as an archaeologist in the Sudan, Egypt, Bulgaria and the UK for institutions such as the British Museum, the University of Cambridge, the University of Durham and the Austrian Archaeological Institute. She also undertook work for the National Trust, the Fitzwilliam Museum, Cambridge, and the British Museum. In early 2012 Rebecca began working with the University of Cambridge in Erbil, the capital of Iraqi Kurdistan, and has been back several times subsequently to explore the region and conduct research in Sulimaniyah, Iraqi Kurdistan’s liberal second city. Since 2013 Rebecca has also been the Tour Lecturer for The Traveller tours to Iraqi Kurdistan. As an Arts and Humanities Research Council (AHRC) doctoral scholar, Rebecca is now conducting her PhD research into the multi-faceted social role of archaeology in shaping Middle Eastern communities and conflicts. Rebecca currently lives in Cairo. Author Photo: Examining the bridge at Kifri, Iraq. Photo by Sebastian Meyer. Claire Collins has worked with Caherconnell Stone Fort for over five years. Caherconnell Stone Fort is a medieval, extraordinarily well-preserved stone ringfort in The Burren of County Clare, Ireland. At Caherconnell, there is an archaeology and a geology field school where one can delve into the Irish prehistoric world. Caherconnell is also home to Ireland’s leading sheepdog demonstrations, which attract thousands of tourists each year. Born in 1976 near Edinburgh, Scotland, Francesca received her Honours Bachelor in Religious Studies at Stirling University in 1997. She went on to achieve her Masters degree in Archaeology at Glasgow University in 2002. Between 2001 and 2005 she worked freelance as a site assistant on commercial excavations. From 2005 -2009 she lived in Cape Verde running a cafe. She is currently working for “Barnardo’s”, a large childrens charity in retail fund raising, and continues to have a passion for things archaeological. James Dau received his undergraduate degree in anthropology from Michigan Technological University, and has worked on sites of industrial heritage in both Michigan and New York. Now a writer, he seeks to raise public awareness of archaeological discoveries across the world. When he’s not writing, he’s busy exploring wherever he happens to be. Paul Joseph De Mola, FRGS is a Postgraduate of the School of Archaeology and Ancient History at the University of Leicester in England. His principle areas of interest are Roman and early Medieval history, archaeology, and politics, as well as Classical philology. He has broad secondary interests in the archaeology of Bronze Age Mesopotamia, and the political history of Middle Kingdom through Late Period Ancient Egypt, as well as general interests in both Classic and Postclassic Mesoamerican sociopolitical structures. Paul has studied Ancient Greek and Latin under Professor Graham Shipley, FRHistS, FSA (University of Leicester, British School at Athens), worked with Professor Jerry Howard (Arizona State University) in the Southwest United States, and researched Roman military history under Professor Simon James, FSA (University of Leicester). Paul has earned two graduate scholarships from the University of Arizona. His postgraduate dissertation is titled The Archaeology of Classical Greek Citizenship. Paul is a Fellow of the Royal Geographical Society (London). Michael Eisenberg is Director of the Hippos-Sussita Excavations Project, Director of the Tel Shikmona Archaeological Project, and a Senior Lecturer at the Department of Archaeology, University of Haifa. His main fields of research include military architecture during the Hellenistic and Roman Periods; the art of siege warfare in the Graeco-Roman World, and; the Decapolis. He is co-author of the Hippos-Sussita monograph series 2003-2010, and co-author of the 2012 publication, Hippos (Sussita) of the Decapolis: The First Twelve Seasons of Excavations (2000-2011), published by the Zinman Institute of Archaeology, University of Haifa, Haifa. A founding member of the Mediterranean Institute for Ancient Civilizations, Linda C. Eneix is America’s foremost authority on the prehistoric Temple Culture of Malta. As president of The OTS Foundation, (Old Temples Study), she oversees the prestigious Elderhostel and Road Scholar educational short-courses in Malta. She is the author of numerous articles, and a classroom handbook for Maltese students. Ms. Eneix has spoken for the Smithsonian Associates, has been consulted about the temples for film, television and print media in the USA and Europe, and has appeared on international television for the Discovery Network. Brian Fagan is Distinguished Professor Emeritus of Anthropology at the University of California, Santa Barbara. As a well-known author of numerous books, he is best known for his prolific writing on a variety of subjects related to archaeology and anthropology. Avraham Faust is chairman of the Martin Szusz Department of Land of Israel Studies and Archaeology at Bar-Ilan University. He has been the director of the Tel Eton excavations since 2006. Rabbi Steven Fisdel is the founder of the Center for Jewish Mystical Studies in Albany, California. Rabbi Fisdel has firsthand experience with both the esoteric and practical sides of Kabbalah, studying the original texts, clarifying the ideas and subsequently teaching the traditional doctrines to people of all spiritual backgrounds. Rabbi Fisdel served for 12 years in the congregational rabbinate in California. He served as a core faculty member of Chochmat HaLev, a center for Jewish meditation and spirituality, from its inception and was for many years a visiting scholar at the Esalen Institute in Big Sur. He is the author of two books, “The Practice of Kabbalah” and “The Dead Sea Scrolls: Understanding Their Spiritual Message.” He has written and produced two CD sets, Meditations on the Tree of Life and The Katriel Deck: The Original Kabbalist Tarot. His current work in progress is an in-depth explanation of the fundamental principles of Kabbalist thought and practice. Anabel Ford is dedicated to decoding the ancient Maya landscape. While living in Guatemala in 1978, she learned from local people that the Maya forest was an edible garden when she mapped a 30-km transect between the Petén sites of Tikal and Yaxhá. In 1983, she discovered and later mapped the Maya city El Pilar. In 1993, after settlement survey and excavations, she launched a multidisciplinary program to understand the culture and nature of El Pilar. Ford’s publications are cited nationally and internationally as part of the foundation of Maya settlement pattern studies. Her archaeological themes are diverse, appearing in geological, ethnobiological, geographical, and botanical arenas and locally in Belize, Guatemala, and Mexico. Her concern for management of cultural monuments, in-situ conservation, and tourism appear in Getty publications. Maggie Knapp is an Art History and Global Studies double major studying at UC Santa Barbara, currently working for the nonprofit ESP~Maya under the direction of Dr. Anabel Ford. Knapp plans to work with cultural patrimony and social development serving indigenous areas of the world such as that of the Maya. Knapp has authored articles in the areas of both art criticism and anthropology, researched aesthetic and social theory, and will be pursuing graduate work in art as a tool of cultural and economic development. Yosef Garfinkel is Yigael Yadin Chair in Archaeology of Eretz Yisrael and Professor of Archaeology at the Hebrew University of Jerusalem. He is the author of numerous books, articles and papers and is a holder of the Polonsky Book Prize. He is currently excavating at Tel Lachish in Israel. Santiago Giraldo is currently Director of the Colombia Heritage Program with the Global Heritage Fund. He has an MA in Social Sciences and a PhD in Anthropology from the University of Chicago. He has worked for the Instituto Colombiano de Antropología e Historia (ICANH) as a research archaeologist, Coordinator for Archaeology, and Director-in-Charge of the Teyuna-Ciudad Perdida Archaeological Park, and has conducted extensive research and preservation at the archaeological sites of Pueblito and Teyuna-Ciudad Perdida over the past ten years. Today he is considered one of the world’s foremost authorities on the ancient Tairona people. Pieta Greaves is the Staffordshire Hoard Conservation Project Manager at the Birmingham Museums Trust. Her conservation specialisation is in archaeological materials. This has led her to work on some of the most important archaeological assemblages excavated in the last few years. For these projects it was important to liaise with a range of professionals including curators, archaeologists, conservators and other experts, to ensure the objects reached their archaeological potential. Pieta has also worked on an extensive range of other object types, including social history, arms and armour, statues and sculpture, also carrying out preventive and remedial conservation for exhibition, loans, storage and research. Prior to training as a conservator at Cardiff University, she worked as an archaeologist in New Zealand and Australia, having graduated from Auckland University in 2001. 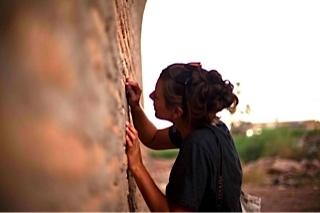 She has also worked on overseas excavations in Egypt and during the summer of 2014 will be spending 4 weeks conserving an important wall painting in Belize as part of the Maya Research Program field school. Dr. Thomas Guderjan is the President of MRP and Director of the Blue Creek project and a faculty member at the University of Texas at Tyler. His book, The Nature of an Ancient Maya City: Resources, Interaction and Power at Blue Creek, Belize. University of Alabama Press (2007), summarizes much of the work done at Blue Creek. Colleen Hanratty is a doctoral candidate at Southern Methodist University. She has worked with the non-profit organization, the Maya Research Program, for the past 16 years. She has conducted archaeological research in the southeastern and southwestern USA, Mexico, Peru and Belize. Her doctoral research is on the collapse and abandonment of Blue Creek, Belize. Professor Andrew Gurevich lives with his wife in Portland, Oregon where he teaches Religion, Literature and Philosophy. While finishing a M.A. in Biblical Theology, he had a series of transformative experiences that led him to renounce the fundamentalism of many modern patriarchal religions and embrace a path of discovery in the archaic, integrative wisdom traditions. After a second M.A. in English Literature, he began to integrate his training in literature, philosophy and theology to explore the ancient mythic structures that underscore our modern sociological systems and philosophical paradigms. His work has appeared in The Ecologist, The Voice, Reality Sandwich, Evolver.net, Current, dtheather.com as well as in the book “The Afterlife Survey.” He has written and lectured about the mytho-psychological pillars of the climate change denial movement; epigenetics, neuropsychology and religious symbolism; Goddess mythology in the United States; and the resurgence of the sacred feminine in the mystical traditions of Judaism, Christianity and Islam. He is currently writing a book about the origins of YHWH from the mythologies of the Fertile Crescent. William (Brad) Hafford is an archaeologist who received his Ph.D. from the University of Pennsylvania and is a Research Associate at the Penn Museum. He has excavated in many places around the world including Greece, Egypt, Syria and Iraq. His primary research involves ancient economics, such as the development and expansion of ancient trade networks. Increasingly, he is interested in how early trade and interaction contributed to the development of complex urban society itself. Patrick D Hahn is an Affiliate Professor of Biology at Loyola University Maryland and a free-lance writer. His writing has also appeared in Biology-Online, Loyola Magazine, Natural News, the Canada Free Press, and the Baltimore Sun. Mark Hallum is a staff writer for Popular Archaeology Magazine. Kyle Harper is professor of classics and letters and senior vice president and provost at the University of Oklahoma. He is the author of Slavery in the Late Roman World, AD 275-425 and From Shame to Sin: The Christian Transformation of Sexual Morality in Late Antiquity. Donald Henson is a British archaeologist. He is honorary lecturer at University College London, was head of education for seventeen years at the Council for British Archaeology, and holds seasonal academic posts at Bristol, York and Newcastle. He is the author of numerous books, including Doing Archaeology, and his latest, Archaeology Hotspot Great Britain: Unearthing the Past for Armchair Archaeologists. Jesse Holth is a freelance writer and editor with a background in archaeology, history, and science. She has previously worked with the Royal BC Museum, the University of Victoria, and World Elephant Day. Jesse has degrees in English and Anthropology, specializing in Archaeology. She is passionate about history, education, and conservation. Marek Titien Olszewski is Associate Professor, PhD from the Sorbonne, lecturer at the Institute of Archaeology, University of Warsaw, specialist in Roman archaeology and iconography, and an expert on ancient mosaics, Roman archaeology and Syria (UNESCO). He sits on the board of the AIEMA (Association Internationale pour l’Etude de la Mosaïque Antiqua). Houmam Saad has a PhD in archaeology and is on the staff of the Directorate General of Antiquities and Museums of Syria (DGAMS). He is also an associate of the French Academy of Sciences (CNRS) and a specialist in the archaeology of Syria. Allison Hummel received her Bachelor’s degree in Archaeology from Dickinson College in 2013, and her Master’s degree in Human Osteology and Palaeopathology from the University of Bradford in 2014. Her main areas of interest within archaeology and osteology are trauma and disease. She has worked on excavations in Greece and Romania. Stephen Isaac is an IEMA Chartered Environmentalist with over 10 years of environmental consultancy and archaeology experience. Stephen is a former archaeologist and also has 7 years of consultancy experience in preparing the cultural heritage chapters of environmental reports for UK and Middle East projects. He is currently a staff member of Earth Systems Europe. Claire Johnson is a freelance writer and former artist. Other than her career, she maintains a special interest in ancient history and archaeology and spends her free time visiting places of interest with her family, so that they can understand their mother is not the only one with old bones! Emma Johnston is currently studying for a PhD in Volcanology in the Department of Earth Sciences at Bristol University (U.K). With a background in Archaeology and an interest in the natural world and its interaction with human populations, she has been able to join her passion for the two subjects focusing her research on large-scale eruptions and their effects on ancient civilisations. Emma has worked on excavations in the U.K, Greece and Indonesia, including the 2011 Tambora excavations. Briana Pobiner, the Science Outreach & Education Program Specialist for the Smithsonian’s Human Origins Program, has a BA in Evolutionary Studies from Bryn Mawr College, where she created her own major, and an MA and PhD in Anthropology from Rutgers University. Her research centers on the evolution of human diet (with a focus on meat-eating), but has included topics as diverse as cannibalism in the Cook Islands and chimpanzee carnivory. She has done fieldwork in Kenya, Tanzania, South Africa, and Indonesia and has been supported in her research by the Fulbright-Hays program, the Leakey Foundation, the National Geographic Society, the National Science Foundation, Rutgers University, the Society for American Archaeology, the Smithsonian Institution, and the Wenner-Gren Foundation. Her favorite field moments include falling asleep in a tent in the Serengeti in Tanzania while listening to the distant whoops of hyenas, watching a pride of lions eat a zebra carcass on the Kenyan equator, and discovering fossil bones that were last touched, butchered and eaten by one of her 1.5 million year old ancestors. She came to the Smithsonian in 2005 to help work on the upcoming Hall of Human Origins, got bitten by the “public understanding of science” bug and hasn’t looked back, continuing to do her research while leading the Human Origins Program’s education and outreach efforts. She currently manages the Human Origins Program’s public programs, website content, social media, and volunteer content training. Kris “Fire” Kovarovic, PhD, is Lecturer in Human Evolution at Durham University, UK. Originally from Connecticut, Kris moved to Montréal, Canada where she attended McGill University to complete a BA in Anthropology and Religious Studies, followed by an MSc in Archaeology and a PhD in Anthropology from University College London, UK (UCL). Kris subsequently spent time as a postdoctoral researcher in the Human Origins Program at the Smithsonian Institution’s National Museum of Natural History and then returned to UCL to take up a Leverhulme Early Career Fellowship prior to moving to Durham. Her broad research interests include palaeoenvironmental reconstruction and faunal analysis, particularly at Plio-Pleistocene hominin sites in East Africa. Her current research programme continues to explore the ways in which mammalian communities are shaped by their environments and how this can inform our understanding of the past distribution of mammals and habitats, as well as investigating the differences in habitat signals provided by fossil bovid dentition and skeletal remains. She is most excited and inspired by her role as co-director of BONES with good friend and co-conspirator, Briana Pobiner. Christofilis Maggidis is currently Director of Glas, Assistant to the Director of Mycenae, and President of the Mycenaean Foundation with nearly three decades of field experience at major archaeological sites, including Mycenae, Glas, Crete (Archanes, Idaion Cave), and Akrotiri (Thera). Since receiving his post-doctorate from Brown University and a research fellowship from Harvard, his research and teaching interests focus primarily on Minoan and Mycenaean art and archaeology, but they also include topics in Greek sculpture and architecture. Maggidis is the author of many articles, international conference papers, and three forthcoming books. Julie Masis is a freelance journalist based in Cambodia. Her stories have appeared in the Christian Science Monitor, the Guardian, the Boston Globe, Science magazine and in other publications. Joanie Eva Meharry is currently completing an MA in International and Comparative Legal Studies at the School of Oriental and African Studies in London. This summer she lived in Kabul while researching the archaeological site of Mes Aynak with a Global Heritage Fund Fellowship and a Connecticut Ceramics Study Circle Grant, as well as directing the project, Untold Stories: the Oral History of Afghanistan’s Cultural Heritage, with a Hollings Center for International Dialogue Grant. She writes often on Afghanistan’s culture and politics. Joanie also holds an MSc in Islamic and Middle Eastern Studies from the University of Edinburgh. Shaharzad Akbar is partner and senior consultant with QARA Consulting, Inc. in Kabul, Afghanistan. Shaharzad studied anthropology at Smith College and recently completed an MPhil in Development Studies at University of Oxford. Shaharzad has extensive media and development work experience in Afghanistan. In 2005, she was the journalism intern for the book Women of Courage. Reporting for the book, she traveled across Afghanistan to meet and interview active Afghan women in all sectors. She has also worked as local reporter for BBC for Afghanistan, producer and host of a youth talk show on radio Killid and writer and editor for several Afghan magazines and newspapers. In 2009, Shaharzad worked as a senior analyst and reporter for the principal domestic elections observers group in Afghanistan. She has also played a lead role in organizing several national conferences and events, most significantly the Afghan-Pak Joint Peace Jirga in 2007. Kimberly Munro is an archaeologist with seven years experience working for the United States Forest Service and the National Park Service. With excavation experience throughout the Southeastern United States and the Northern Coast and Central Highlands of Peru, Kimberly received her B.A. in Anthropology and Religious Studies, and her M.S. in Geographic Information Sciences from Florida State University. She has been involved with the PIARA Archaeological Field School located in the highlands of Peru since 2011, and will be returning to work as a crew chief for PIARA in the summer of 2012. With interests in GIS applications in Archaeology, remote sensing, landscape and settlement patterns, and coastal/highland interaction in central Peru, Kimberly will be starting work on her PhD at Louisiana State University in the fall of 2012. Matthew Notarian is Visiting Assistant Professor of Classics at Hiram College and a Trench Supervisor with the Upper Sabina Tiberina Project. He received his Ph.D. and M.A. in Classics from the University at Buffalo, specializing in Roman archaeology. He also holds a B.A. from the University of Delaware. He has been a fellow of the American Academy in Rome and an exchange fellow of the Scuola Normale Superiore in Pisa. Previously, he taught at Tulane University and Johns Hopkins University, and has participated in fieldwork at several sites in Italy and Greece. 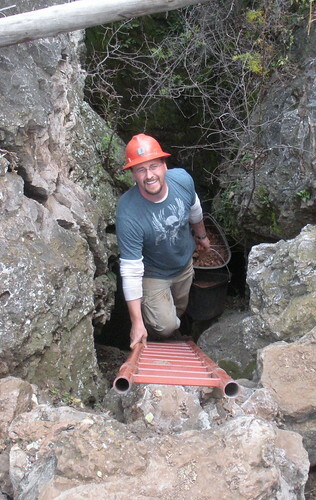 Brandon Olson is pursuing his Ph.D. in the department of archaeology at Boston University and has earned a bachelor’s degree in anthropology (Fort Lewis College) and graduate degrees in archaeology (Sheffield University), ancient history (University of North Dakota), and classics (Pennsylvania State University). His research interests include the archaeology and history of the Hellenistic and Roman east with particular focus on ancient warfare, epigraphy, ceramics, settlement, GIS applications to archaeology, and social history. He is currently involved with ongoing archaeological projects in the Eastern Mediterranean including the Pyla-Koutsopetria Archaeological Project in southern Cyprus, the Mopsos Survey in southern Turkey, the Tel Akko excavations in northern Israel, the Polis Chrysochous excavations in southern Cyprus, and the excavations at Mendes in northern Egypt. Dr. Alexander Parmington is an Archaeologist at the Wurundjeri Tribe and Land Council and a Research Associate (Hon.) in the Archaeology Program at La Trobe University in Melbourne, Australia. He has worked extensively in south-eastern Australia, in Mexico, Guatemala and Honduras and has contributed articles to several journals and organizations, including Mexicon, the Minesterio de Cultura y Deportes de Guatemala, the Instituto de Antropología e Historia de Guatemala, and the Foundation for the Advancement of Mesoamerican Studies. Alex has also recently authored a book entitled Space and Sculpture in the Classic Maya City (2011), published by Cambridge University Press. 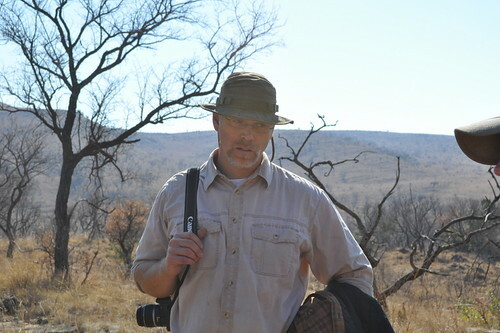 Travis Rayne Pickering is a Professor of Anthropology at the University of Wisconsin-Madison and also directs the Swartkrans Paleoanthropology Research Project. Since 1989, he has conducted fieldwork at various paleoanthropological sites in Kenya, Tanzania, Ethiopia and South Africa, as well as laboratory, zoo and field research on chimpanzee dietary behaviors and material culture. Meredith Poole has been a Staff Archaeologist with the Colonial Williamsburg Foundation for 26 years. In addition to field work, her responsibilities include outreach and archaeology education. Meredith received her MA in Anthropology from the College of William and Mary, and her BA from Hamilton College. 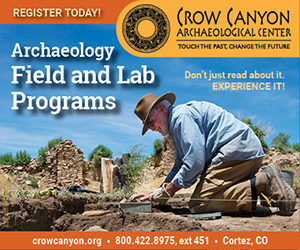 Dr. Shirley Powell is currently the Vice President of Programs at the Crow Canyon Archaeological Center. She obtained her bachelor’s degree from the University of California, San Diego, and her master’s and Ph.D. from Arizona State University—all in anthropology. Between 1978 and 1987 she served as principal investigator and director of the Black Mesa Archaeological Project—one of the largest and longest-running archaeological projects conducted in the United States. She was also a professor in the department of anthropology at Northern Arizona University, Flagstaff, and a resident scholar at the School of American Research, Santa Fe. She has held positions as principal investigator, director, consultant, or coordinator for several archaeological firms and projects. She has authored, coauthored, or edited numerous books, technical reports, chapters in technical reports, and book reviews and has presented at 30 regional and national professional meetings. In the public service arena, she has served as the development and administration manager for the Montezuma Land Conservancy in Montezuma County, Colorado, and has been both mayor and a planning and zoning commission board member for the town of Dolores, Colorado. Professor Donald Redford is professor of classics and ancient Mediterranean Studies at the Pennsylvania State University and the director of the Mendes expedition. He is a noted expert in the field of Egyptology and Biblical Studies and is the author of numerous books and articles, including The History of Ancient Egypt: Egyptian Civilization in Context, (Dubuque, 2005), and City of the Ram-man, the Story of Ancient Mendes,(Princeton, 2010). Prof. Redford has been featured in numerous series and documentaries on A&E and the History Channel. Dr. Susan Redford is faculty lecturer in the Dept. of Classics & Ancient Mediterranean Studies at the Pennsylvania State University and the director of the Theban Tomb Survey. Dr. Redford is the author of numerous articles and The Harem Conspiracy: The Murder of Ramesses III (Northern Illinois University Press, 2002). She has been featured in documentaries by National Geographic and the Discovery Channel. Matthew Reeves is the Director of Archaeology at James Madison’s Montpelier in Orange, Virginia. His specialty is sites of the African Diaspora including plantation and freedman period sites, and Civil War sites. In his work over the past two decades, Reeves has maintained a focus with public archaeology, most especially involving descendent groups and involving the public with experiential learning. Dr. Nicolae Roddy, Associate Professor of Older Testament at Creighton University in Omaha, Nebraska, has co-directed the Bethsaida Excavations Project since 1997, and the Virtual World Project (www.virtualworldproject.org) since 2006. Roddy holds an M.A. in Theology from St. Vladimir’s Orthodox Theological Seminary and a Ph.D. in the area of Judaism and Christianity in the Greco-Roman World from the University of Iowa. Roddy was appointed as a Fulbright scholar to Romania (1994-95), which resulted in his first book, The Romanian Version of the Testament of Abraham: Text, Translation, and Cultural Context (Society of Biblical Literature, 2001). He is also the author of several book chapters and journal articles on topics related to the Bible and archaeology. Nicolae Roddy is married to Alexandra, who along with his daughter Aurelia, assists in supervising the dig at Bethsaida. Aurelia has three younger siblings destined to dig. Dr. Mirjana Roksandic is Assistant Professor of Anthropology at the University of Winnepeg. She conducts pioneering research in two distinct areas: the study of hominid fossils in Europe, and mortuary archaeology, with current fieldwork focusing on sites in Serbia, Portugal and Cuba. Joanne Rowland graduated from the Institute of Archaeology at UCL with her PhD in Egyptian Archaeology in 2004, having also studied for her BA and MA at UCL. Having began fieldwork in the Nile Delta in 1998, working with Fekri Hassan and G. J. Tassie at Kafr Hassan Dawood (Eastern Delta), she spent a season with the German Archaeological Institute mission to Buto/Tell el-Fara’in, before joining Penny Wilson (University of Durham) and her team to work at Sais, during which time she participated on the Northwest Delta Survey. Following on from this experience and from the results of her PhD research – which indicated our sparse knowledge of the central Nile Delta – Joanne started a regional survey in Minufiyeh Province in 2005 under the auspices of the EES, where she works to this day. Joanne has also worked briefly in the south Sinai and also at Elkab, north of Edfu. Her particular interests lie, clearly, in the archaeology of the Nile Delta, and also in the prehistoric and early historic periods of Egypt. She is also very interested in early mortuary practices, which she began researching during her MA year, and in the chronology of ancient Egypt; she was the Research Fellow in Egyptology for a Leverhulme Trust funded project at the University of Oxford (2006-2009) which focussed on synchronisms between the Egyptian chronology and scientific dating methods. After Oxford, Joanne joined the team of the Belgian Archaeological Mission to Elkab and was based in Brussels at the Royal Museums of Art and History from 2009-2010. Since then she has held a position as Junior Professor in the Egyptology Seminar of the Freie University of Berlin. Dr. Itzhaq Shai is an assistant professor at Ariel University and the head of the Institute of Archaeology at Ariel Univeirsty. He has served as the director of the project since its beginning (the 2009-2012 seasons as co-director with Dr. Joe Uziel). He has extensive experience in field archaeology of different periods. He worked for more than a decade at the Tell es-safi/Gath project and served as director of a number of other excavations. Dr. Shai finished his PhD at Bar Ilan University (under the advising of Prof. Aren Maeir) and was a post-fellow at the Harvard University and a junior research fellow at the Institute for Advanced Studies at the Hebrew University. His published articles deal with the Early Bronze Age in the southern Levant, Philistine material culture, place names and their importance in ethnic identification, the status of Jerusalem in the Iron Age and the political structure of Philistia, the Late Bronze Age remains at Tell es-Saf/Gath, and various publications on the results of the Tel Burna Archaeological Project. Dr Patricia Spencer has worked for the Egypt Exploration Society in London since 1981, as the Society’s Director (1984-2011) and, from January 2012, as General Editor. She also edits and produces the Society’s colour magazine Egyptian Archaeology. Dr Spencer has participated in excavations and archaeological suveys in Egypt annually for the past thirty years, working for the EES at Saqqara and at sites in the Nile Delta, and for the British Museum at el-Ashmunein in middle Egypt and, in the Delta, at Tell el-Balamun and Tell Belim. She prepared for publication (from archival sources) the previously unpublished EES excavations (1938-49) at Amara West in the Sudan. Her other publications include her doctoral thesis The Egyptian Temple: a lexicographical study, The Egypt Exploration Society: the early years, articles in scholarly journals and museum catalogues, and in more popular archaeological magazines. Penny Spikins is currently Senior Lecturer at the University of York, Department of Archaeology. Her early research centered on Mesolithic northern England where she retains an interest and enthusiasm, although she is best known for her later research into the evolution of social emotions and the significance of care for the vulnerable in human origins. 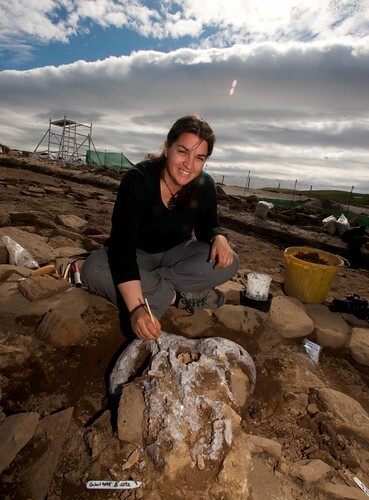 Penny has directed a major excavation project at Mesolithic sites in the Pennines, and underwater archaeological fieldwork in the North-East. Her published volumes include Mesolithic Europe (CUP) with Geoff Bailey, Prehistoric People of the Pennines (West Yorkshire Archaeology Service) and Mesolithic northern England: Environment, Population and Settlement (BAR). Over the last ten years she has particularly focused on cognitive and social evolution, publishing papers on the evolution of compassion (Time and Mind), dynamics of egalitarianism (Journal of World Prehistory), the origins of autism (Cambridge Archaeological Journal), evolution of self control and display in artefacts (World Archaeology) and Neanderthal childhood (Oxford Archaeological Journal). Dr. Scott Stripling is the Director of Excavations at Shiloh. Previously Stripling directed the excavations at Khirbet el-Maqatir from 2013-2016, served as Field Supervisor of the Tall el-Hammam Excavation Project from 2005 to 2010, and as a supervisor of the Jerusalem Temple Mount Salvage Project in Jerusalem. Mrs. Suzanne Lattimer serves as Assistant Director at Shiloh. She received her M.A. in Near Eastern Archaeology and Semitic Languages at Trinity Evangelical Divinity School (TEDS) in Deerfield, Illinois. She has also dug at Tel Dor, Israel in 2004, and in the Great Smoky Mountains with the National Park Service in 2001. She has served as a Field Archaeologist from 2014 through the inaugural season at Shiloh. William (Bill) Tarant is a sales manager with GE Inspection Technologies. Carol Tedesco is an internationally recognized Spanish Colonial coin expert and historic shipwreck professional who has worked with projects in North America, the Caribbean, Africa, and the Pacific. She has curated tens of thousands of coins and is considered the foremost authority on 1622 fleet treasure coins. Carol is author of the book Treasure Coins of the 1622 Shipwrecks Nuestra Senora de Atocha and the Santa Margarita, as well as numerous archaeological mystery articles. Her accomplishments have been recognized by the Who’s Who of Entrepreneurs and with membership in the Explorer’s Club. She is a Founding Member of the Professional Marine Explorers Society. Today she consults for some of the most prominent historic shipwreck search and recovery companies in the world. Matthew J. Adams is the Dorot Director of the W. F. Albright Institute for Archaeological Research and director of the JVRP. Adams received his PhD in History from the Pennsylvania State University in 2007, specializing in Egyptology and Near Eastern Archaeology. He has directed excavations at several sites in Egypt and Israel. His primary research focus is on the development of urban communities in the third millennium in Egypt and Levant. In addition to directing the JVRP, he is a member of the Penn State excavations at Mendes, Egypt and the Tel Aviv University Megiddo Expedition. He is also president of the non-profit organization American Archaeology Abroad. Jonathan David is professor of Classics at Gettysburg College, assistant director of the JVRP, and co-director of excavations at the legionary base at Legio (2013). He studies the history and archaeology of ancient Greece broadly, but his particular interests involve earliest historiography and the interconnections between the Graeco-Roman world and the Near East. He has been a regular member at the American School of Classical Studies at Athens, a Mellon Foundation research fellow, and a founding member of American Archaeology Abroad. Carrie L. Sulosky Weaver is a Kenneth P. Dietrich School of Arts and Sciences Postdoctoral Fellow in the Department of History of Art and Architecture at the University of Pittsburgh. Andrew Edwards is a Staff Archaeologist with the Colonial Williamsburg Foundation. He received his BA and MA from the Anthropology Department at the College of William and Mary where he was employed as an archaeologist prior to his coming on staff at Colonial Williamsburg. Eric Schweickart was employed as an Archaeological Technician on the Public Armoury Project by Colonial Williamsburg. He is currently pursuing an MA at the School of Archaeology and Ancient History at the University of Leicester. Photo shows: L-R: Eric Schweickart, Lucie Vinciguerra, Meredith Poole, Moriah Childers, Andrew Edwards, and Tanisha High at the Armoury’s ravine site excavation. Christopher Wood earned his B.A. in Classics from San Francisco State and his Masters in Anthropology with emphasis in Archaeology from U.C. Santa Barbara. He has worked as an archaeologist at Pompeii and participated in a number of underwater excavations in the Yucatan Basin. His specializations include funerary archeology of Early Roman and Pre-Roman Italy, especially the use of material culture and epigraphy in constructing identity. His past research has included landscape archaeology and the use of public space for spectacle, XRF technology, Etruscan archaeometallurgy, and the impact of Roman religion of the Provinces. He has traveled widely, having attended the Université de Paris, and more recently the American Academy in Rome on a Bernard Goldman scholarship. Chris is currently a Gallery Teacher at the Getty Villa. He speaks five languages (English, French, Italian, and some Spanish and German), and writes in five ancient languages (Ancient Greek, Latin, Middle Egyptian, Luvian and Hittitie). James Wright is a Senior Archaeologist at the Museum of London Archaeology. He has researched the palace at Kings Clipstone for over twelve years and has recently published a book entitled A Palace For Our Kings on the subject via Triskele Publishing – www.triskelepublishing.com.